I’ve been RCing and soldering for years and the single most useful tool I have in my solder kit is a home-made solder holder. Now I won’t pretend this is my own idea as I’d read it in some RC magazine years back but it’s easily worth the few minutes it takes to make your own. 1) A ball point pen barrel with the ink/pen part, cap, and stopper removed. 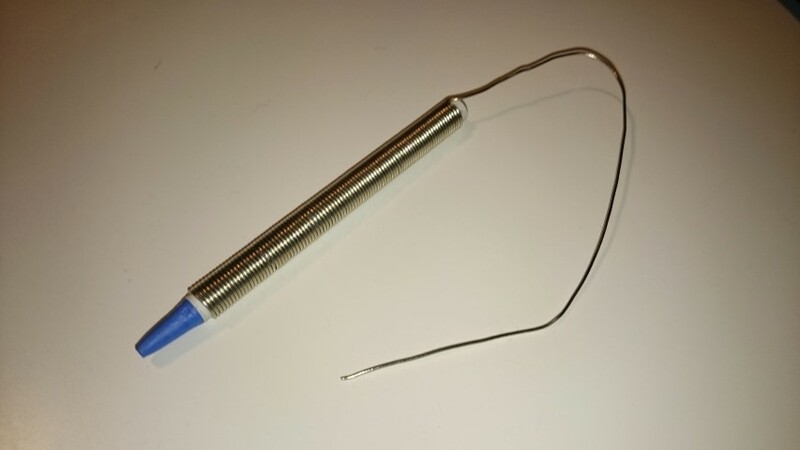 Starting at the writing end (or where that end used to be), wrap the solder around the outside of the pen barrel all the way along and leave a long tail. 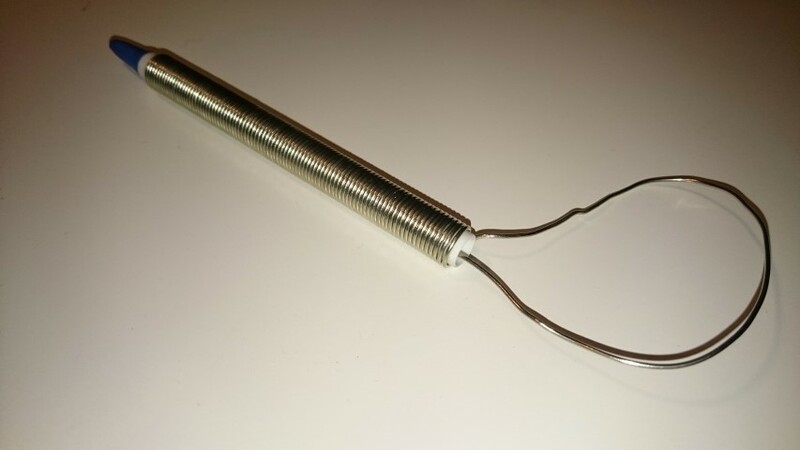 Insert tail down and through the centre of the pen barrel until it comes out of the other end. 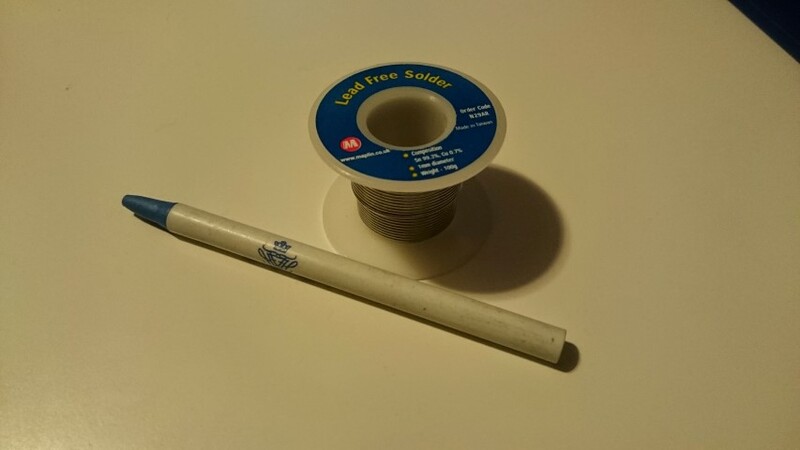 Once the solder is out of the other end you now have a easy pen-style solder holder. 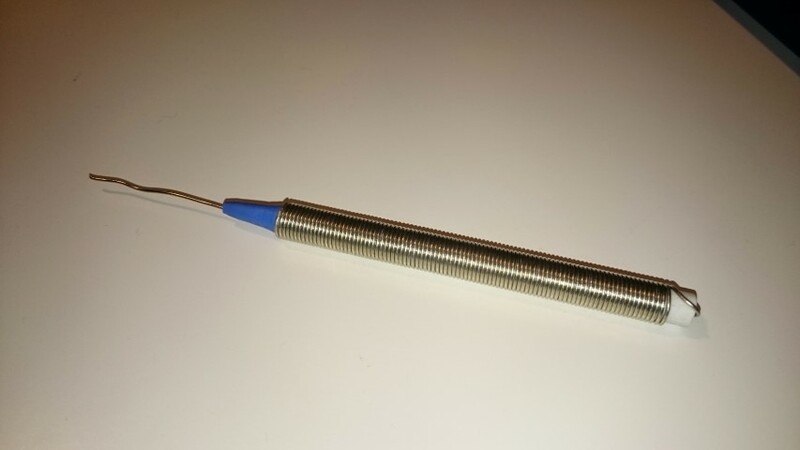 When you need more solder just pull from the tip and it will unravel from the outside. Posted in: Radio Control. Tagged: balancing rc, balancing wheel, rc wheels. Back when I started RC racing there wasn’t enough electric power around to really have to worry about balancing your wheel sets. But now that I have a 1/8 e-buggy, and the brushless motor and LiPo battery combination means easy power for everyone I figured that it’s probably worth balancing my wheelsets. Not only will there be a performance improvement (stability on the track) but the wear on driveshafts, CV joints and bearings will be reduced too. Here I present a fairly simple way to statically balance your wheels. I’m fully aware that dynamic wheel balancing like 1/1 scale vehicles would further improve performance but without strain gauges and more complex electronics its impossible to measure the lateral loading on the mounting shaft. I digress…..
1) Spin the wheel and wait for it to stop. The wheel may rock forward and backward around it’s heavy point which indicates that it’s out of balance. 3) Repeat steps 1 and 2 a few times to see if there is any pattern. 4) Stick some lead tape on the inside of the wheel mid-way across the inner surface at the pen/pencil mark. Here I have placed a single piece of tape, but its not enough as you can see the wheel rock back to the heavy spot. 5) Repeat 1 and 2 over and over and see if you need to stick on some more tape. 6) Spin the wheel a few more times and make sure it stops at a different spot each time just like in this video. 7) Repeat for all your wheels. Good luck and feel free to comment if you have any additional information you think I should include. Update: Having thought about the actual balancer further, I don’t think you need to purchase anything to balance your wheels on your RC car. 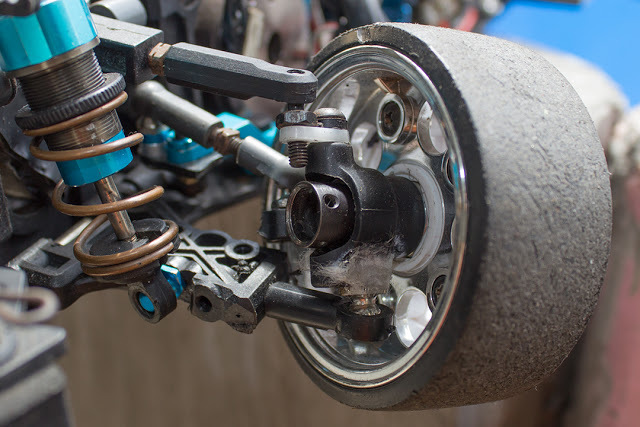 If you separate the universal joint of the driveshaft at the hub end (outer end like in the photo below) then you can probably statically balance the wheel on the car. You only need to do it on one corner of the vehicle (on 4WD cars). In fact I’m going to try that method the next time and report back.